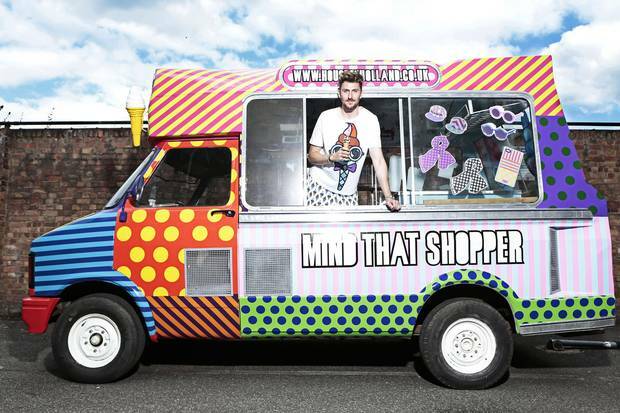 Henry Holland is the proud owner of his first ever moving pop up store in the shape of an actual ice cream van. 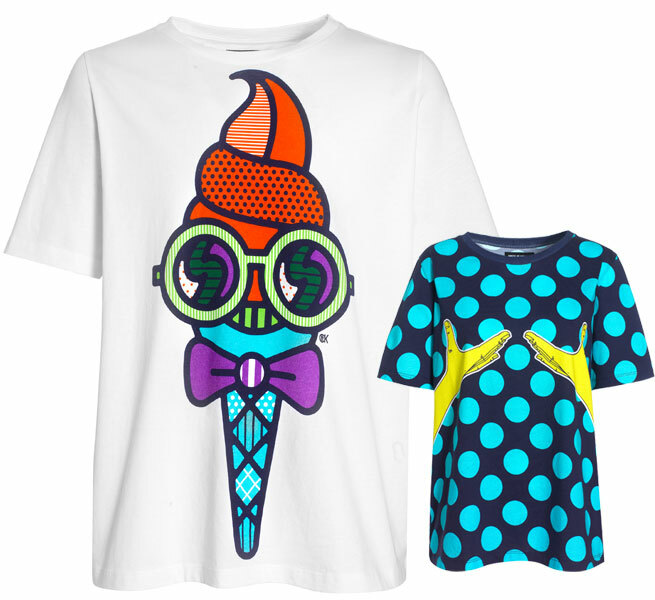 It’ll be travelling to high streets up and down the country for the month of August, but rather than serving sweet treats, it’ll be stocked with new and exclusive pieces also available on the new look ecommerce site, www.houseofholland.co.uk. The designer has created a summer collection featuring those signature polka dots as well as candy stripes and acid brights on headwear, accessories, jewellery and eyewear. See the schedule below to keep track of the super-cool HOH truck and check out www.houseofholland.co.uk for the latest updates. Luxury online retailer MyTheresa.com has launched a portrait and film series, profiling a woman of sartorial note each month. Amongst the virtual rail browsing shoppers can seek style inspiration from women hand picked from the worlds of culture, music, art and fashion. Alexa Chung kicks off the portrait series in Valentino, Saint Laurent and Acne. The Kardashian’s are trying to take over the world it seems with another fashion collaboration, this time with Lipsy. “We’re so excited to announce the launch of Kardashian Kollection for Lipsy in the UK, Ireland, Russia and the Middle East this October,” said Khloe. “We’re collaborating with Lipsy to bring a fresh new range of pieces and I can’t wait for the new line to hit stores,” she continued. The sisters last year partnered with UK high street store Dorothy Perkins last year. But the Kardashian Kollection for Lipsy range is said to have a more luxury feel to it, as well as a higher price point. The sisters, who are all known for their distinctive styles, are said to be incorporating their personal tastes in the collection – embracing Kim’s glamorous vibe, Kourtney’s eclectic prints and Khloe’s laid back, edgy chic, complete with sequined biker jackets, embellished crop tops and lace jumpsuits. Kim, Kourtney and Khloe recently launched Kardashian Sun Kissed, a range made up of five tanning products designed to give a healthy glow. The Kardashian Kollection for Lipsy will be available from October. In recent years French Collection has become to be known for its challenging and edgy fashion advertising campaigns and the campaign for the new Autumn/Winter 2013 collection is no exception. French Connection has called on the talents of iconic photographer Rankin and his in-house creative content agency The Full Service for a campaign called ‘From Sketch to Store’. 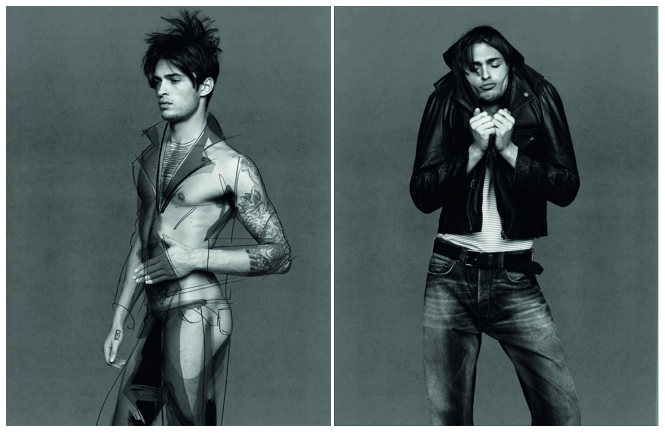 Rankin first photographed models, two female and one male naked in his studio. Then once the pictures were printed the clothing designs were sketched on top by illustrator Jo Bird. The final results show the models wearing the actual pieces from French Connection’s AW13 collection. 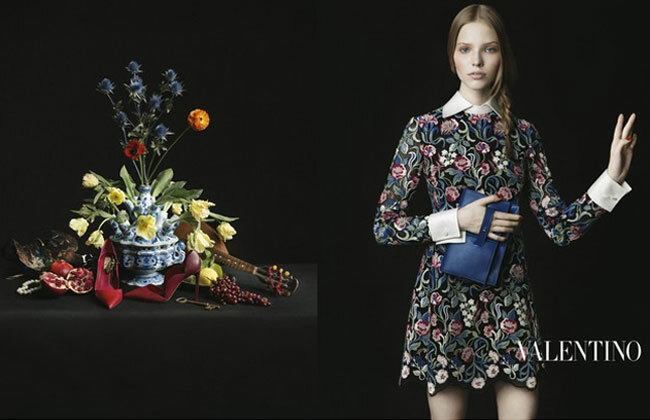 Valentino has just released the first images from their autumn winter 2013 campaign, with inspiration coming from Dutch art masters. The campaign was shot by photographers Inez Van Lamsweerde and Vinoodh Matadin and is a mixture of model shots and Flemish-style still life images, all shot reminiscent of 17th Century artists Vermeer and Rembrandt. Chart-topper Rita Ora debut modelling campaign for Madonna and her daughter’s label, Material Girl sees showcasing the capital’s most famous landmarks. 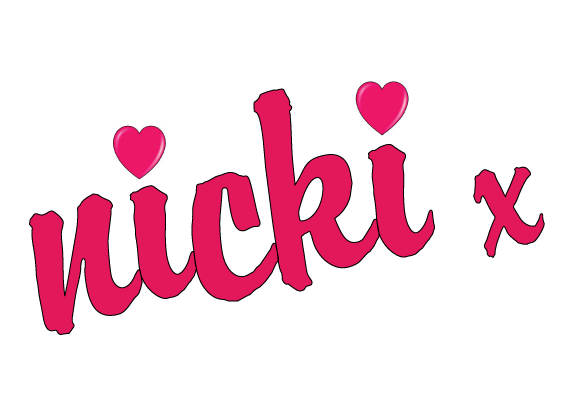 The 22-year-old was signed up as the face of Material Girl, which Madonna collaborates on with her 16-year-old daughter Lourdes in May. Taking over from fellow Brit Georgia May Jagger, she is rumoured to have been paid a £500,000 paycheck for fronting the label. “What Material Girl means is just so much more than just a girl, it means confidence, it means belief and inspiration, and freedom to really express yourself,” said Rita. Ora follows in the footsteps of Kelly Osbourne and Taylor Momsen, who have previously modelled for the teen-targeted, Eighties-centric label. 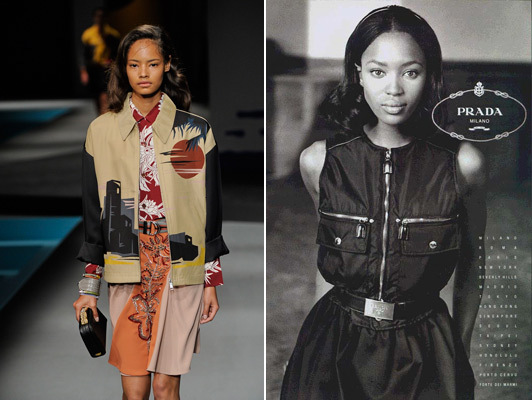 Malaika Firth’s first ever campaign is the starring role in Prada’s autumn/winter 2013 advertising campaign which makes her the first black model to star in a Prada advert since Naomi Campbell in 1994. Firth said she was “completely ecstatic” when she found out she had secured the campaign, which also stars Christy Turlington. Firth’s potential was first spotted by her very own mother, who took it upon herself to call Premier Models and tell the agency of her daughter’s model credentials after watching Channel 4 documentary The Model Agency in 2011.
left – Malaika for Prada resort. right – Naomi Campbell for Prada in 1994.